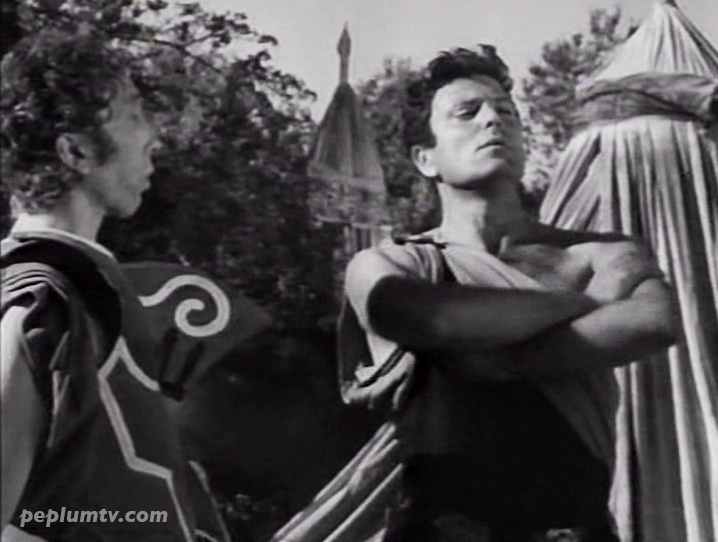 Martine Carol, as Lysistrata, and Raf Vallone (below) in DAUGHTERS OF DESTINY. I've never heard of this film. The film is made of three short stories and one of them takes place in Ancient Greece and these screenshots are from that segment. I haven't seen it yet so the credits here are a guess. Thanks to Alan for point it out to me.